John Marshall was a Founding Father, officer in the Continental Army during the Revolutionary War, congressional representative from Virginia, Secretary of State, and 4th Chief Justice of the U.S. Supreme Court. 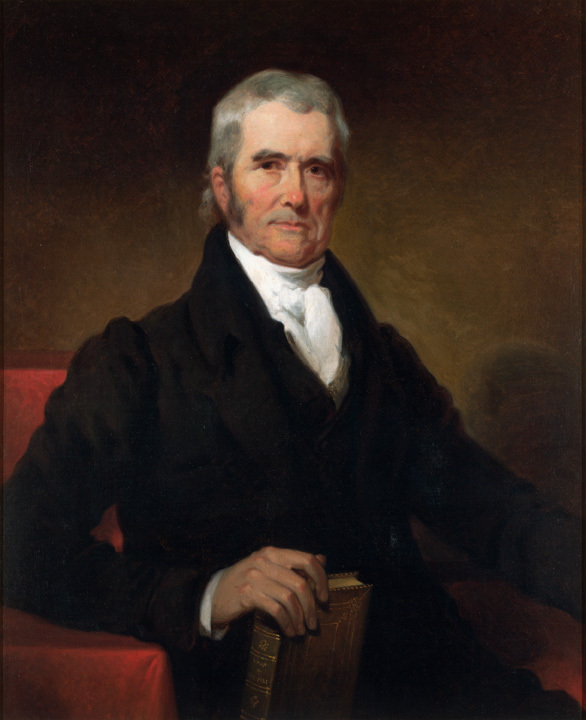 John Marshall was a Founding Father, an officer in the Continental Army during the Revolutionary War, congressional representative from Virginia, Secretary of State, and 4th Chief Justice of the U.S. Supreme Court. Marshall is best known for his judicial decisions that often reflected his strong Federalist beliefs. His decision in the cases of Marbury v. Madison (1803) strengthened the power of the federal judiciary by establishing the principle of judicial review. His opinion in McCulloch v Maryland (1819) expanded the power of the federal government by introducing the concept of implied powers when interpreting the U.S. Constitution.